Product prices and availability are accurate as of 2019-04-21 08:12:01 UTC and are subject to change. Any price and availability information displayed on http://www.amazon.com/ at the time of purchase will apply to the purchase of this product. Author Bookstand is proud to offer That Which Follows You by Bookstand Publishing. Bookstand Publishing offers books by the best indie authors throughout North America and the world. Bookstand Publishing is dedicated to offering original content to a broad audience and promoting great authors, literacy, and freedom of expression. 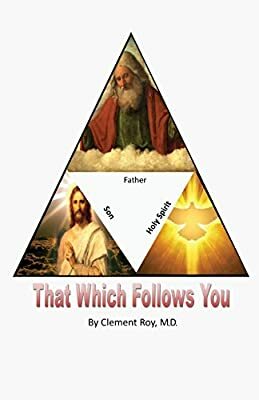 That Which Follows You has generated a lot of interest and excitement and we think it would be an excellent addition to your library. This book is an external expression of my extreme love, gratitude and dedication of myself to my Lord and my God, Jesus Christ. I am an unworthy servant who tries to project the reflection of my heart to my God. The twelve chapters in this book attempted an eloquent proclamation of Lord Jesus Christ’s advice and teachings. Jesus the beloved Son of God openly declares in Chapter 1 that everything he spoke out are the words of his Father, our Creator and God, the Almighty. Jesus Christ, the stone that the builders have rejected, then became the corner stone of his church. Jesus Christ cried out to the world to express how much he loves and how he is prepared to offer his own life to his people by saying, “I am the good shepherd, the shepherd lays down his life for his sheep.” The world has never, ever seen such self-sacrifice out of love for his own people. We see many pictures and statues of God and saints, but unless out mind conjoins with the mind of God, our prayers are in vain. When we pray, our mind should be focused, and vested completely in God. The last expression of love and kindness as a human being, in the last few minutes of his life in this world, he assured the accused on his right side on the cross, “In truth I tell you, today you will be with me in Paradise.” Jesus asked people who are interested in worldly pleasures: “What profit would there be for one to gain the whole world and forfeit his life.” It is difficult for anyone who works hard to accumulate wealth and prosperity in this world. When we die we cannot take with us anything that we accumulated in this world. On the other hand, people who stored spiritual wealth in Heaven while living in this world, when they are on the verge of death, and about to lose their life in this world, they gain an everlasting place in Heaven. We rarely think, when we eat, that it is God who feeds us and we have to live according to the will of God. We should not forget this and do not forget to do the work of God. Humility should be the hallmark of the followers of Jesus Christ. “What was the life of Christ but a perpetual humiliation?” (St. Vincent de Paul). Jesus has revealed, anyone who believes in Him believes in God the Father. 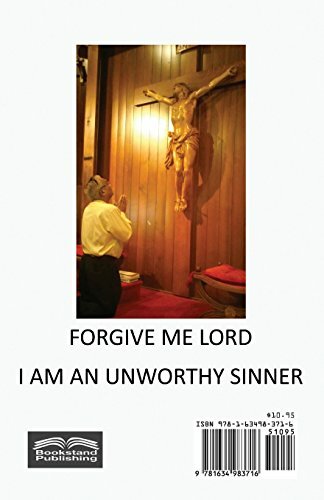 I pray the readers of this book have the blessings, grace and guidance of Lord Jesus Christ. -- Clement Roy, M.D.